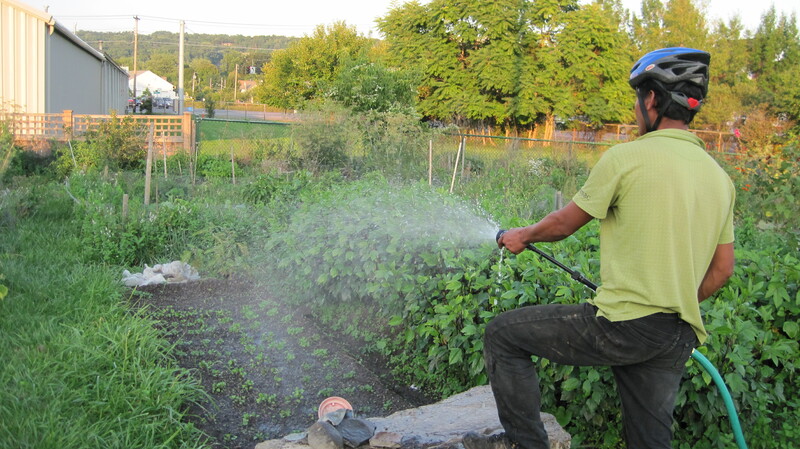 After months of questions surrounding the fate of the Ithaca Community Gardens, the Ithaca Common Council voted this September to adopt a resolution that directs the city to negotiate a new lease with Project Growing Hope, the nonprofit organization working toward furthering local food self-sufficiency that leases the land for the community gardens. At a special common council meeting on Sept. 19, the Ithaca Common Council voted 9-1 to adopt a resolution that directs the Mayor and City Attorney to enter negotiations for a renewal of the lease before Common Council votes on a final lease agreement in July 2013. When it became clear earlier this year that the fate of the gardens was uncertain, members of Project Growing Hope took action through petitioning, holding a small rally and meeting with Common Council members. Gardener and head of the communications committee for Project Growing Hope, Jo Todd, said the meetings gave Project Growing Hope members a chance to inform each of the council members, as well as hear their concerns and work with them toward finding a solution that would work for everyone. But it is this cross between recreation and personal use that creates questions as to where exactly the place of a community garden should be within a city, such as if it could take place on public land. The situation springs from a purchase agreement made in 1999, in which the City of Ithaca sold eight acres of undeveloped land located in Carpenter Business Park to the developer Building Links, Inc. The agreement included what is called an “option” for Building Links to purchase two additional acres of city-owned land — meaning that once any existing lease on that land ends, Building Links has the first right to purchase it. Twenty years earlier, these two acres had been leased to Project Growing Hope for the community gardens, the term set to end in December 2013. Aeon Development, LLC, agent for Building Links, has since approached the city expressing interest in acquiring the land. This, combined with that years ago the City had prepped the land for commercial development, has created a disconnect between what the City Council’s intentions were in 1999, and what the current City Council’s obligations are now, Myrick reflected. At the Common Council meeting on Aug. 22, the City Administration Committee was initially going to vote on a resolution proposed by Aeon that would let the lease expire without negotiations to renew. By the end of the meeting, the Committee decided not to vote on Aeon’s resolution and to form a working group consisting of City Administration Committee members Graham Kerslick and Chris Proulx, City Attorney Ari Levine and other city staff members to work on a new solution. According to the resolution passed on Sept. 19, the City is to enter lease renewal negotiations with Project Growing Hope, but the lease can be terminated early if a developer meets a list of specified conditions that Myrick said would prevent the gardens from being evicted without an alternative location or from being moved just to have the original site left undeveloped for years. Sheryl Swink, secretary of Project Growing Hope, said the board is now working on putting together a negotiating team. While she is glad the resolution has bought the gardeners more time, the conditions that would allow the lease to expire early have left them with a lot of uncertainty as to how much time they have. Will Parker, another board member of Project Growing Hope, said he is open to an alternative location, as his personal goal is to save the concept of a community garden. “We’re going to have to certainly do a lot more outreaching to the community and to the city, so [the resolution] gives us some time to adjust to things and that’s what I’m happy about,” Parker said. Swink said that while there is a large body of community support that goes beyond the gardeners, the goal for July 2013 will be to work for the understanding of Common Council on how the gardens fit in as a sustainability initiative within Ithaca. Gena Mangiaratti is a senior journalism major who is proud of her green thumb. Email her at gmangia1@ithaca.edu.